Warning: This story contains a graphic photo of injuries. 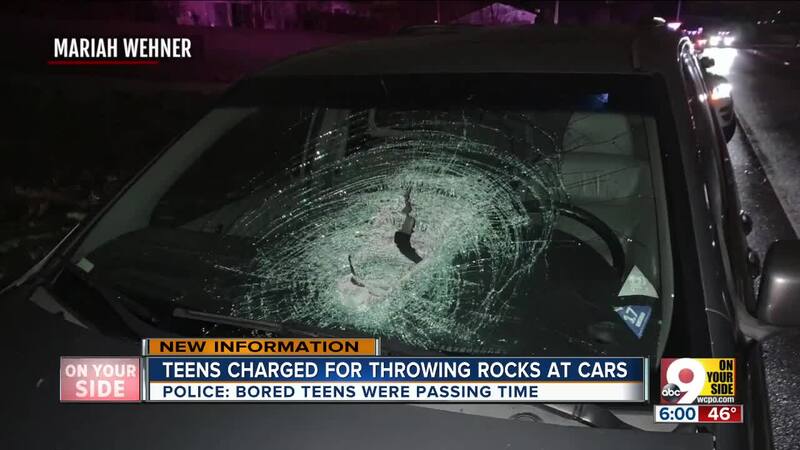 BURLINGTON, Ky. — Two teenagers have been charged in connection to thrown rocks that seriously injured a driver. Boone County deputies said a 14-year-old from Burlington threw the rock. The teen is charged with first-degree assault and second-degree criminal mischief. William Wehner, 64, suffered serious injuries to his face when a large rock crashed through his windshield as he was driving north on KY-237 near Country Club Lane at about 10:30 p.m. Saturday. Family members said he was on his way home from babysitting his grandkids. 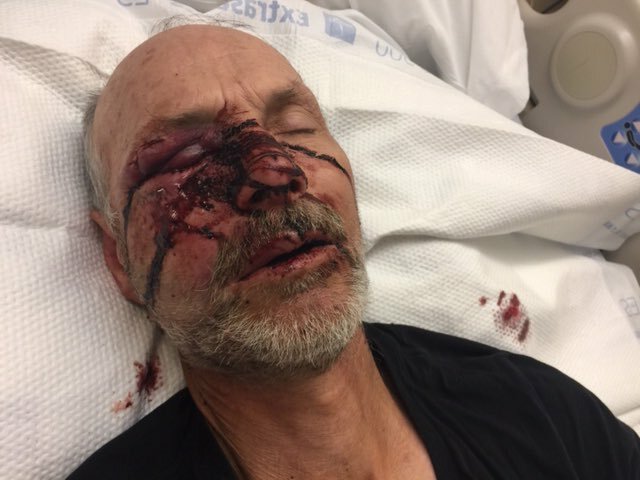 "The rock actually came through the windshield and, they believe, bounced off the dashboard, came up and hit him and got him on the right side of his face, just missed his eye," William's brother, Randy Wehner, said. Wehner was able to pull his car off the road after being hit with the rock. He was driven to University of Cincinnati Medical Center for treatment. “What these boys did was attempted murder," Wehner's daughter, Meg Oleson, wrote in statement. "At age 14 & 15 they are capable of understanding a car coming at you 55 mph and a 5lb rock, the blunt force will/could be deadly. One inch higher and they would have murdered my father." "It was pretty gory," Randy Wehner, said. "The right side of his face, just below his eye — if where it hit, if it was just a few inches higher, it could have been a whole lot worse." It was the second reported incident in the area that evening. Deputies said a 15-year-old threw the rock in the earlier incident. That teen, also from Burlington, is charged with first-degree complicity to assault and second-degree criminal mischief. Maj. Tom Scheben with the Boone County Sheriff's Office said the teens had apparently been bored at a sleepover. "Doesn't surprise me that they are juveniles," he said. "Hopefully when they get a little bit older than 14 or 15, they're seeing that this is not a great idea." "This is not '2 boys having fun,'" Oleson wrote. "This is real and and they have changed this mans and our families lives permanently. I urge this to not be taken lightly and expect from our justice system to make the right choices [sic]." Both teens are being held in the Campbell Regional Juvenile Detention Center in Newport. Wehner is waiting on surgery. This wasn't the only reported incident of rocks being thrown at vehicles recently. On Wednesday, Cincinnati police said they were investigating reports of someone throwing "rocks, concrete or other large objects" on Interstate 75 between Fifth and Ninth streets and Fort Washington Way.